What are some tips and strategies for helping students with autism achieve their fullest potential? And how can teachers cultivate the best learning environment in their classrooms? 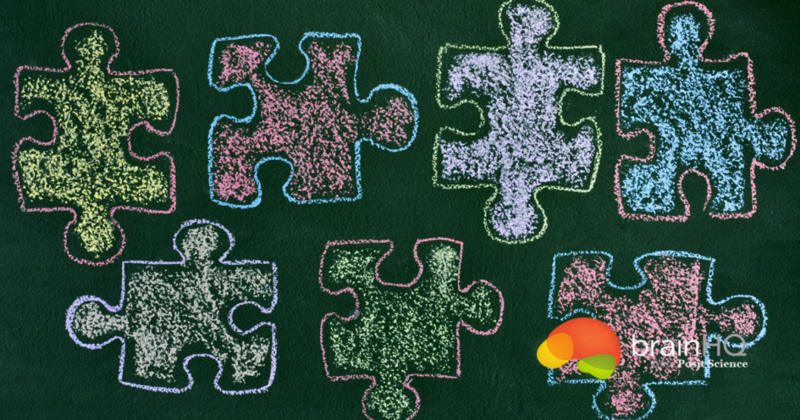 Explore these and other issues surrounding Autism in the Classroom. In a world of Internet-based learning and individualized learning plans, the biggest concern of educators is no longer with getting children to sit in alphabetical order in a row of desks. Their central concern, rather, is with accommodating students with different learning styles. As more and more “special needs” students are mainstreamed into regular classrooms, teachers face the challenge of meeting their needs while creating an inclusive and challenging learning environment for all students. Several alternative strategies can help teachers serve a diverse range of individual needs within a regular classroom environment. Such strategies are especially necessary in dealing with children with autism. Autism is a brain disorder that impairs the ability to communicate, socialize, and maintain ordinary relationships with others. People with autism demonstrate a range of verbal and intellectual capacities, from low to high. They also demonstrate a broad range of symptoms. Children with autism may, for instance, resist even minor changes in their routines. They may also appear detached or withdrawn in social situations, unable to engage in ordinary conversation. In severe cases of autism, children may make repetitive body movements such as rocking; they may also engage in aggressive and self-injurious behavior such as biting their own hands. In many respects, the origin of autism remains a mystery to researchers. Autism appears to be four times more prominent among boys than girls; however, there is not enough evidence to link autism to any one factor. Scientists are presently looking at a number of possible factors, including genetic makeup, early trauma, reaction to immunization, and diet in hopes of identifying common patterns that will help them treat and prevent this disorder. In some cases, medications are prescribed to relieve symptoms associated with autism, though doctors must be cautious when prescribing medicine for children whose brains are still developing. Nevertheless, anti-depressants such as Prozac, Zoloft, and Paxil are often used to relieve anxiety, obsessive, or aggressive symptoms in children with autism. However, children and adults prone to seizures must be very careful when taking anti-depressants because these drugs can lower a patient’s seizure threshold. For these individuals with autism, anticonvulsant drugs are prescribed. The most common are valproic acid and Tegretal. Due to the dangerous side effects that can arise when a patient is on multiple medications, it is important to consult a doctor about which drug or drugs may best suit an individual with autism. How do teachers educate students with autism? Nurturing the parent-teacher relationship is key. A conference with the child’s parents should be held prior to the start of the school year. Parents can help identify a child’s learning patterns, current cognitive skills, and the behavioral techniques that will foster interaction with other students. It is also important that teachers include the school speech therapist, occupational therapist, special education teacher, and counselor in the child’s web of adult resources. After establishing a support group, it is time to identify the student’s verbal and intellectual abilities. Some children with autism are high functioning and able to use language and cognitive abilities to express what they are thinking. Others are non-verbal; in these cases children can communicate with a PECS (Picture Exchange Communication System) in which they carry a communication board with picture symbols of wants and needs. They finish open-ended sentences such as “I want _____” by selecting the appropriate picture symbols. Autistic savants, or “geniuses,” are rare. Only a small percent of the autistic population show savant characteristics — the ability to excel in a specific area, such as mathematics or music. Savant ability is a gift, but it can also mask more subtle academic and difficulties. For example, a student with autism who can rapidly read a long, complex book (and tell you how many pages contain the name of the main character), may not be able to explain the author’s underlying theme or the symbolism behind the words. Students with autism often struggle to express what they need or what they don’t understand. Forming exact questions can be frustrating and difficult, causing some students with autism to become agitated. Teachers can address this by providing an organized classroom with specific areas that the student can identify through verbal or visual clues. For example, placing a sign over the restroom with the word written out clearly for the child to read and a picture of a toilet as a visual clue helps the child with autism quickly identify the restroom without feeling frustrated. Pictures and words should be used all around the classroom to help identify areas such as where coats and lunches are stored, pencils are sharpened, and books are put on the shelf. Designating for the student a time-out area where he or she can go for quiet when over-stimulation occurs is also beneficial. This should not be a punishment area, but rather a haven where a student can go to regroup before rejoining the class in regular activities. Often a dark place such as a tent offers comfort, as does sensory input such as being able to swaddle oneself in a blanket or running one’s hands through a basket of rice or dried beans. For students with autism, interacting with other students is a challenge. They rely on structure and repetition and tend to go to adults instead of fellow classmates because they learn that adults can offer more dependable responses. Frustration can arise when students interact with each other in new and spontaneous ways. The use of slang phrases such as “it’s raining cats and dogs” is also very hard for students with autism to decipher because they communicate in a very literal, concrete sense. They are not likely to understand abstract language or words with multiple meanings. Nevertheless, some students with autism do enjoy socializing with others their own age, and peer learning can be an effective tool. In my classroom, I had students with strong reading abilities that fall within the autistic spectrum work with classmates with weak reading skills. This offers the student with autism an opportunity to use his or her skill in a positive way and allows the other student one-on-one instruction. Instead of reading to the class, teachers might allow students with autism to read to the class, allowing his or her talent to shine. Identifying ways for students with autism to interact in regular classroom settings is important to their development and a great learning experience for other students who need to understand that everyone has learning strengths and difficulties. Like all growing children, students with autism need to learn daily life skills such as how to button pants and address a letter. Tangible objects such as real money or real food should be used when teaching daily life skills because students with autism have difficulty distinguishing between facsimiles and the real thing. They also need to learn how to read visual cues such as putting a finger to one’s lip to indicate quiet. As students grow, learning how to write a check or take a bus will be crucial, and while these skills are often taught by parents at home, they can be reinforced in the classroom. By middle school, most high functioning students with autism are ready for grade-appropriate curriculum. Assignments should be modified as needed to help students expand their learning. The transition from elementary school to junior high is often difficult, especially for the student with autism who depends on consistent, familiar routines. Resource specialists such as speech therapists and special education teachers continue to be important at the secondary level when a student is having problems socially or academically in the regular confines of the classroom. As the student approaches high school, parents and teachers should decide between a college track or (as in most cases) a vocationally based study program. Vocational programs provide students with autism experience in the workplace while they are still able to make use of the surrounding support system. At this age, these children continue to need therapies to address their lack of social skills and their lack of interaction with their peers. Students with autism have remarkable success when given early and consistent guidance in communicative and sensory areas. Early intervention is critical for developing communication skills and encouraging peer interaction. Community effort, combined with parental support and the attention of specialists and teachers, can help cultivate a comfortable and productive learning environment for children with autism.